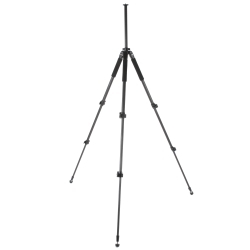 The Walimex pro WT-890T Pro Tripod made of lightweight carbon is extandable up to 134cm. The center column is equipped with a 1/4 inch thread, so that heads and panheads can be hold. 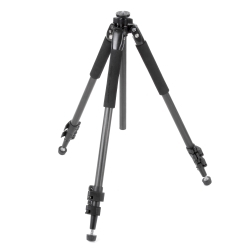 With the quick-release fasteners you can adjust the tripod due to your requirements at any time. The foam rubber coating always provides stability and convenient carrying. The center column is removable and reversible. Therewith, you can realize pictures near the ground. Macro shots too, for example. This tripod is suited for any surface. You can either use the rubber feet for rigid surfaces or the spikes for soft grounds, e.g. grassland or forest. 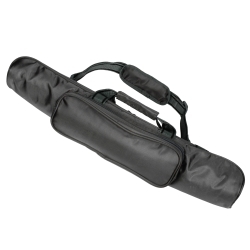 An olive-green carrying bag with an additional small outside pocket completes the whole.